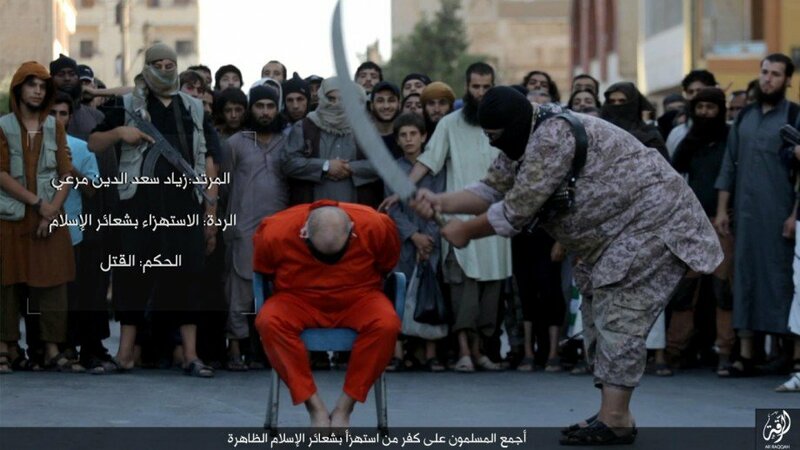 These series of photos depicts a Syrian man who was sentenced to death in Raqqa for mocking Islam His execution, beheading with a massive blade was carried out in front of a live audience. 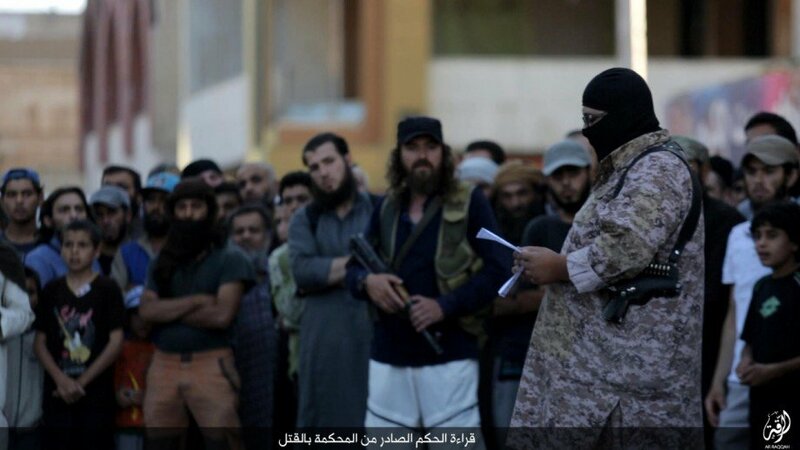 Under Hillary's immigration plan, the audience pictured in the background are potential future homophobic, misogynous, anti-Semitic, anti-Christian, refugees who will be settled in a U.S. city just like yours and give birth to America hating kids who we will later call "Home grown"
Step 3: Chop off the offender's head. Step 4: Call for volunteers to clean up the mess.